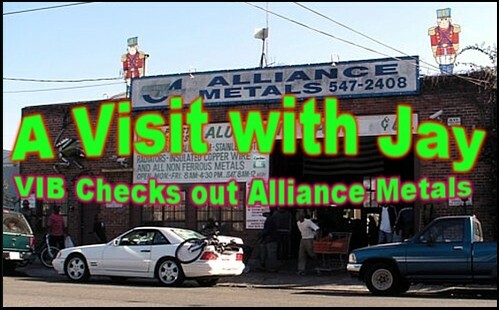 There are residents of West Oakland who are downright pissed at Alliance Metals and owner Jay Anast. 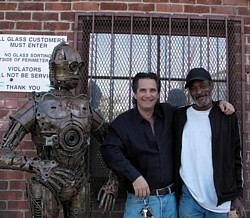 Alliance is a recycling business which is located at the corner of 34th and Peralta streets in Oakland. 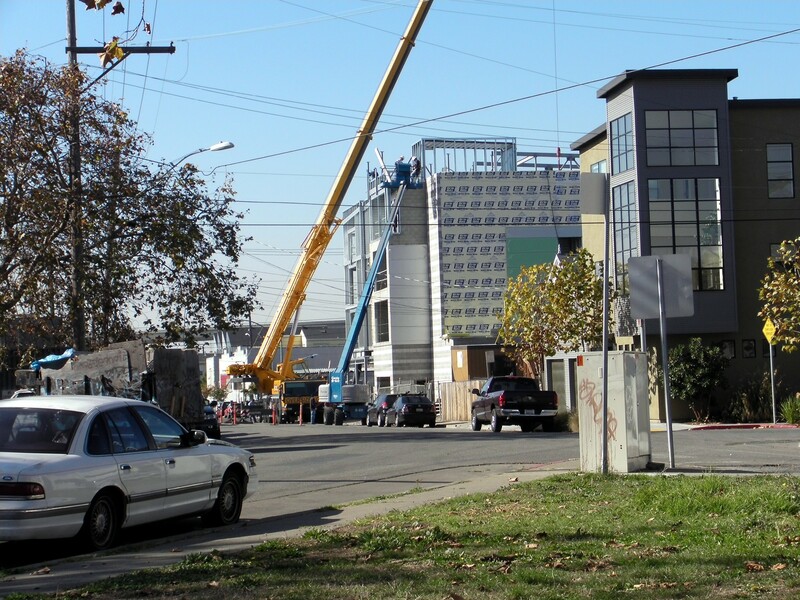 Anast is also one of the principals of California Dry Dock Solutions--the company that is moving towards re-opening the dry docks on Mare Island for ship breaking. The complaints have been primarily posted on the comments section to a previous VIB article about the dry docks HERE. 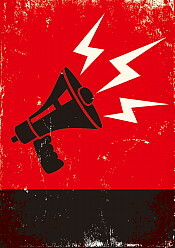 Posters allege that Anast “ is irresponsible and is contributing to sa [sic] whole list of neighbor ills.” and that “alliance employees sell stole items and even are involved in the drugs selling and using.” Comments include attacks on Anast's character and claims that his customers urinate publicly and smoke crack. And so on, and so on, and so on. But how bad is it really? Is Alliance Metals really a cesspool and Jay Anast a monster? Will he be a good neighbor for Vallejo? Or Godzilla? November 17, 2009-- VIB contributor Katy Miessner and I take an unannounced field trip to Alliance Metals. 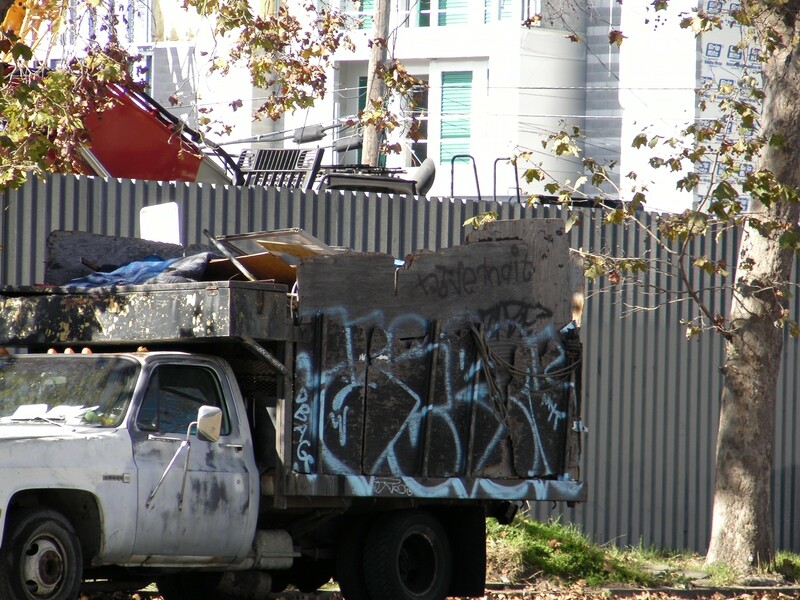 Alliance is in a gritty corner of West Oakland, that is also showing serious signs of gentrification. 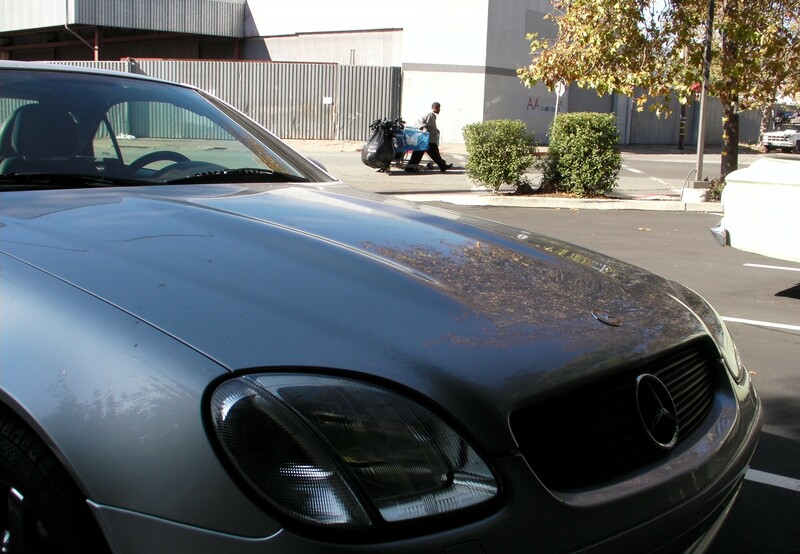 Homeless pushing shopping carts rub elbows with $80k Mercedes coupes. A group of old black men are playing cards on a folding table in the park--a triangular spit of grass across the street from Alliance. Victorians in varied states of restoration or disrepair are shoved alongside trendy lofts and heavy industry. 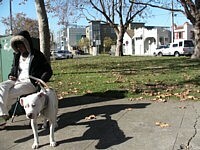 A woman with a pit bull at her side sits on a folding chair at the edge of the park. She smiles and says “Hi” as we walk by. 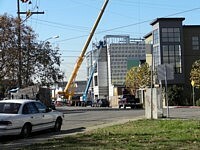 Past the park, cranes labor as they lift bundles of lumber to the top of some modern looking new loft-residences. The sidewalks around Alliance are relatively clean. 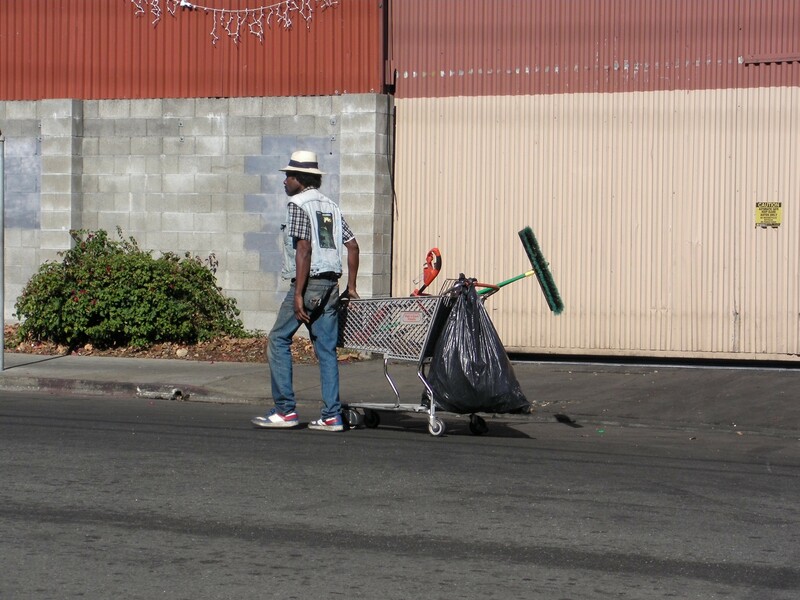 True, there are lots of homeless folks pushing shopping carts. Creaking full of cans and bottles as they approach and rattling and empty as they leave. It looks fairly clean for an inner city recycling business. No overwhelming smells or piles of rubbish. There is a constant background shoosh—shoosh as cans and bottles are being dumped. Machinery is whirring, but nothing terribly loud from the outside. 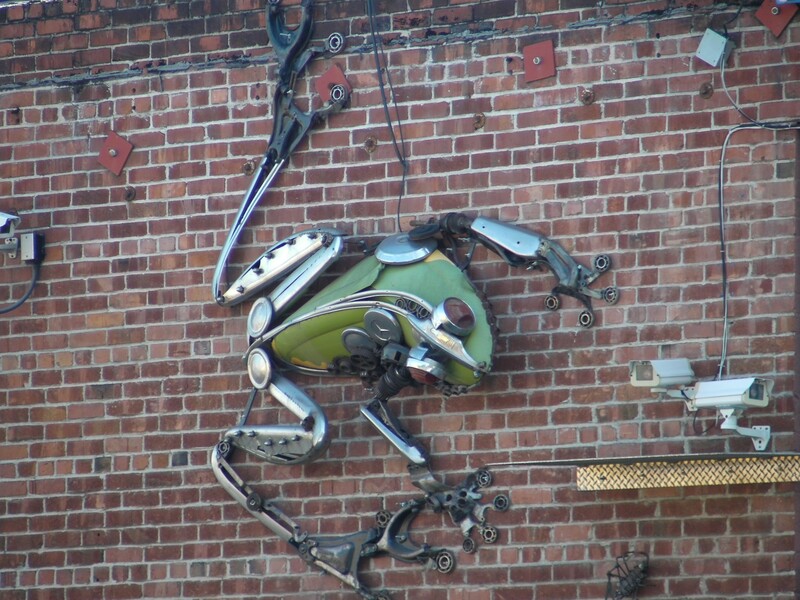 Sculptures made from old metal parts are placed around the building and a frog sculpture made from an old fender adorns the side of the building. Nifty. Next to the frog are two surveillance cameras. Nothing seems terribly out of line so far. I approach one of the security guards standing in front of the building and ask him if Jay is in. He says “Yeah. Who are you?” I hand him a card. VIB. After a moment the guard re-emerges and waves us in to a small office in the corner of the building. 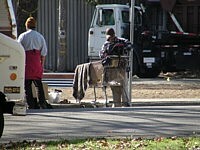 We pass lines of people with shopping carts who are waiting to sell their accumulations. Signs in several locations state: “IF YOU DON'T HAVE AN ID, DONT EVEN ATTEMPT TO SELL ANY SCRAP METAL” There are more security cameras inside photographing sellers and the scrap they are selling. We enter the office. Jay Anast, seated at his desk seems... nervous, but welcomes us in and offers to give us the tour. After getting over his initial uneasiness (someone told him that we were troublemakers) Jay was actually quite open in speaking about his business, problems with the neighborhood, and his efforts to make peace and do the right thing. Based on our visit it is clear that there are issues in having commercial/industrial operations belly to belly with residences. But Alliance has been operating and zoned commercial for decades. A decision made by City of Oakland planning officials in the 1960's. The place seems clean for what it is. The landscaping and sculptures are not required, but look nice. Security guards and cameras indicate a level of commitment in discouraging illegal activity. Do some of Jay Anast's customers smoke crack or drink cheap booze? There is no doubt. Is there some level of noise associated with a recycling operation of this sort? You bet. Does the presence of Alliance Metals concentrate a level of activity some consider undesirable? Yup. But how many of these social problems are attributable to Alliance and how many are part of the larger scope of issues facing West Oakland? While some would argue that an operation such as Alliance is “farming the poor” that's a hard call to make. 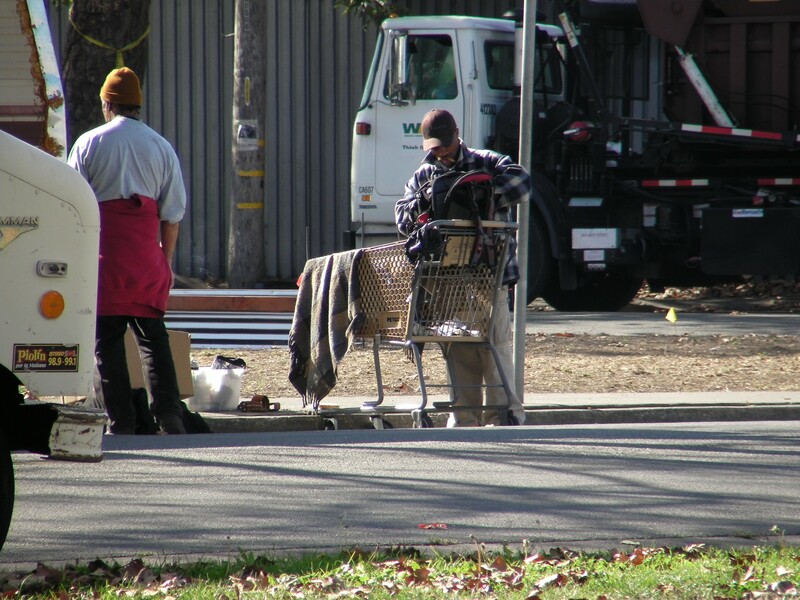 Without some sort form of income, many of the homeless engaged in scavenging would simply starve. But without some major government social program (not likely) most of them will stay right where they are. It seems to be a roughly symbiotic relationship. Alliance Metals has been in the same location for approximately 30 years. The emergence of new high end residences has started taking place in the last decade or so. But what about the residents who have been in the area long term? “These are poor people.” says Jay Anast at one point as we walk with him outside his building. He continues to explain how homes were torn down in favor of industrial facilities in the 50's and 60's and jammed into neighborhoods. Then with the implementation of redlining and other racist practices, African Americans were pushed into undesirable areas along with with heavy industry. None of this is news. Just an unfortunate commentary on bad planning and bad zoning on the part of the City of Oakland as well as the sort of terrible institutionalized overt and de-facto racism that is hopefully starting to fade away. It seems that gentrification, social problems and bad zoning practices are grinding against each other in this corner of West Oakland. This situation certainly underscores the importance of zoning and planning long term. Something we can learn from in Vallejo. Jay Anast and Alliance Metals seem to be making a genuine effort to respect the neighborhood. 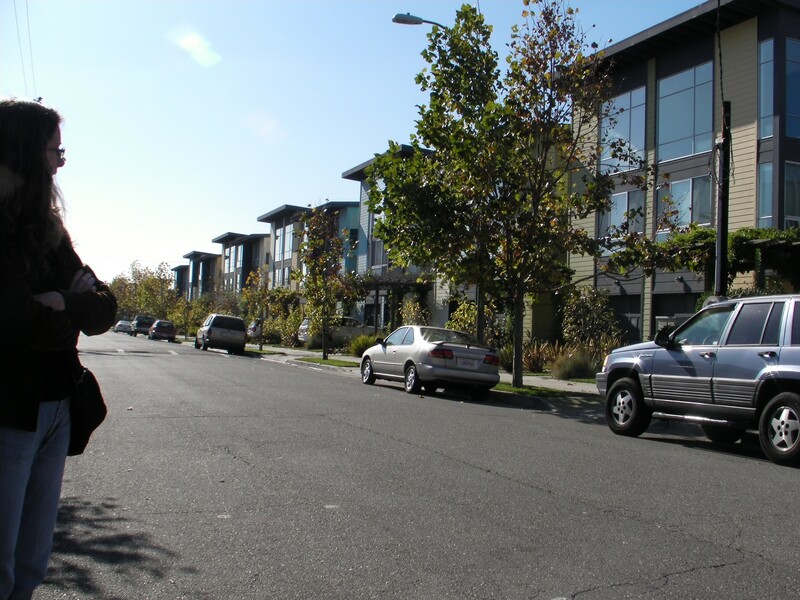 Nothing is perfect, but the real fault seems to rest squarely on the shoulders of long gone urban planners who approved ridiculous zoning schemes in West Oakland. 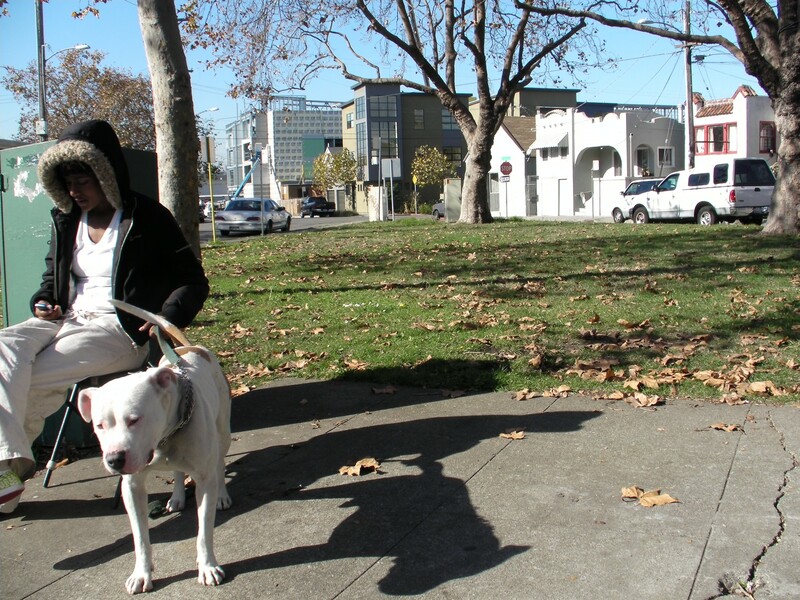 We find nothing that gives us pause with regard to the way Jay Anast maintains his Oakland business or how he is likely to conduct himself in Vallejo.